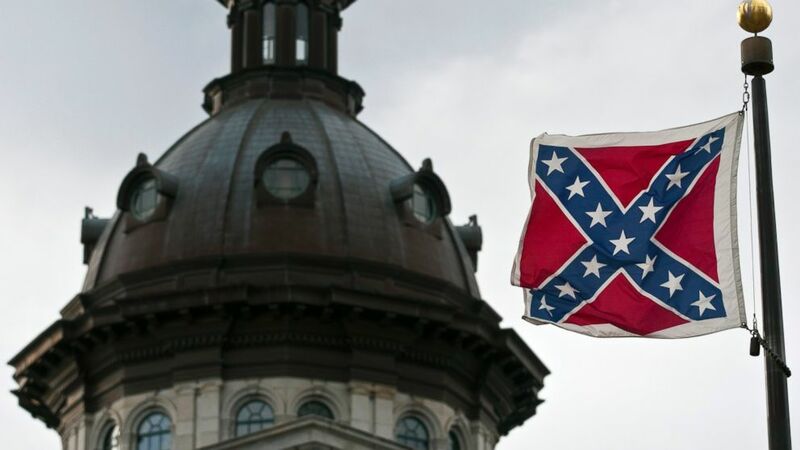 The National Association for the Advancement of Colored People (NAACP) has voted to end its 15-year economic boycott of South Carolina a day after the Confederate flag was removed from the grounds of the state house. The civil rights group had boycotted tourism and other services in protest at the flying of the Confederate flag. The controversial flag was removed after a debate sparked by the shooting of nine black people. The suspected gunman, Dylann Roof, had been pictured holding the Confederate banner. The flag was the battle emblem of the southern states during the American Civil War but is now seen by many as a symbol of slavery and racism. Members of the NAACP agreed the move at their annual convention in Philadelphia. “Emergency resolution passed by the NAACP National Board of Directors at #NAACP106, ending the 15 year South Carolina boycott,” the group said on its Twitter feed. The Confederate flag was originally placed on top of the South Carolina state house in Columbia in 1961 as part of Civil War centennial commemorations. However, critics said it was more of a sign of opposition to the black civil rights movement at the time. The NAACP announced its boycott in 2000 and maintained it even though the Confederate flag was later taken down from the capitol’s dome and placed by a civil war monument in the grounds. The future of the flag was thrust back into the limelight after nine black people were shot dead in a church in Charleston, South Carolina on June 17 this year. After a long and fractious debate, a bill calling for the flag to be taken down was signed on July 9 by Republican Governor Nikki Haley. Relatives of some of the victims attended July 10 ceremony to remove the flag from outside the state house. Hundreds of people turned out to watch the event, some chanting “take it down” while they waited for the ceremony to begin. The Confederate flag’s supporters argue that it is an important part of southern heritage.